I don’t really understand why everyone sees 2016 as a bad year, I would consider it as my favorite year because I feel I grew as a person when I became a mother. I think the parts I hate mostly are going through the baby blues as it progressed to postpartum depression, the emotions I had to go through let alone the tears that came out for no logical reason at all. Ironically these parts are the ones that changed me drastically and I realized how childish I was before. So in the spirit of kicking myself for being too silly when I was younger, I decided to write about the albums that changed my life. Well, technically shaped my personality from the angsty emo teen to being a mother who still watches Pokemon. If I go way back, I’ll probably mention few Arabic music since my grandfather used to play the Oud and sing whenever the family gathered but I remember few songs my mother used to play in the car and made us sing along. Moving on to my preteen years, I started listening to more English music and of course the next album is the one that every 90s girl would know. 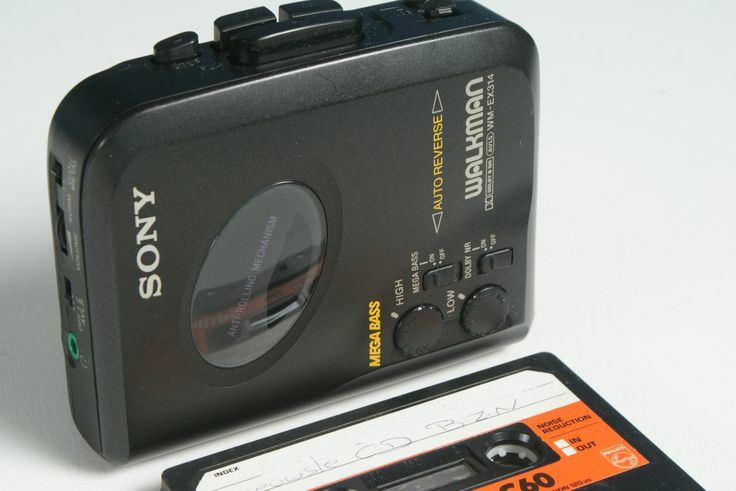 I remember I bought a Sony Walkman (like this one) and I really wanted to listen to music on a road trip from Jordan to Syria so my father stopped at some music store on the way and I took the cassette of this album because it looked interesting. I instantly became a fan of the Spice Girls and bought to next album Spiceworld and then Greatest Hits later on, I honestly still listen to their songs. Now entering my teen years, I was forced into a public school and had to use the bus. The driver kept repeating one song throughout the whole ride, most of the girls were complaining because of it but it got lodged in my head and I heard the full album. Don’t get me wrong, I was into Backstreet Boys and *NSYNC but Blue got a special place in my heart. Of course every girl go through the boy band phase, Let me know which was your favorite boy band ? Around the same time, my cousin made me listen to an album that SUPPOSEDLY rated 18+ because of the language, and you know how we kids do whatever we can to pretend we are adults. I guess my rebel phase started here because I officially learned how to swear and curse, or so I thought. Later the angst and rage of a teen was introduced so my music also shaped to fit that stage. Yes I’m into Linkin Park and still is. By that time I was listening to this album and also Meteora but mostly Hybrid Theory that’s why I chose it, I mean who didn’t blast “Runaway” and shouted the lyrics in the middle of the night? During these years I was also into Britney Spears because every teen girl is, don’t deny it. So by the end of middle school, the cool girls were saying how amazing her song with Madonna “Me Against the Music” and I wanted to be cool so I repeated that song non-stop till I memorized it … and bragged about it, *sigh* young me, don’t go full stupid. I remember my father was so against me buying this album because she shows too much skin. It was a solid album of her best songs to be honest, it was my favorite for awhile. Anyway, I’ve dragged this post for too long that’s why I’m stopping it here and I’ll post the second part soon hopefully since the next part will include my highschool to college years and they were all over the place of my choice in music. Hope you enjoyed this post, I really want to know what albums changed your life so please comment below. As a Brit myself, Blue was a welcome surprise! What were your favorite albums ?